Fahan Presbyterian Church. 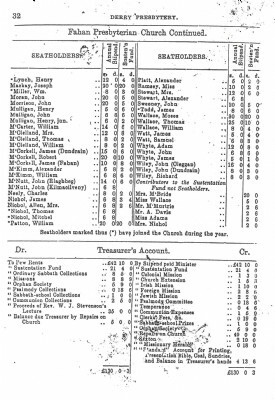 Financial Statement for the Year ending 31st March 1875. 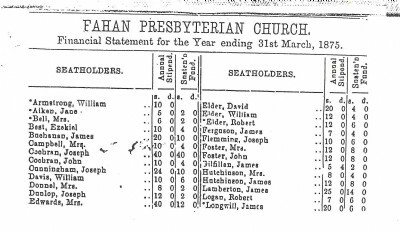 Seatcholders: Showing the amount per seatholder (family) in a time when each family would have had their own seat.